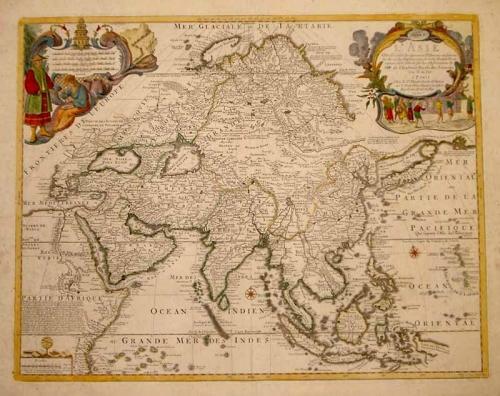 An elegant, large and rare map of the Asian continent. The map is crammed with detail and comments and has many decorative elements. Original colour and strong clean paper. Seldom seen on the market.